Winner of Tripadvisor 2018 award. 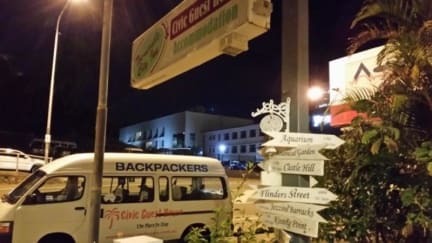 The Civic Backpacker Guest House is a friendly, hostel in the heart of Townsville offering clean, safe and cheap accommodation. Free WiFi, Free Transport to/from the Ferry and Greyhound bus terminal, Free pool table. 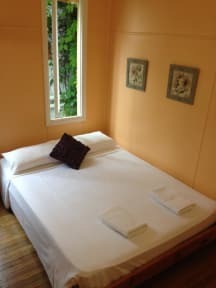 Our aim is to provide our guests with a comfortable and quiet place to stay in a relaxed and friendly environment. You can chill out in the lounge room, prepare a meal in our large communal kitchen, or have a game of chess in the new game room. Conveniently located in a quiet street in Townsville's CBD, Civic Guest House Backpackers Hostel gives you a broad choice of room options ranging from shared dorms to private double rooms with en-suite bathrooms. Everything's good, nice deisgn and atmosphere. Only one thing that all the hostels I stayed in Australia has no soundproof, which is strange and a bit anoying.